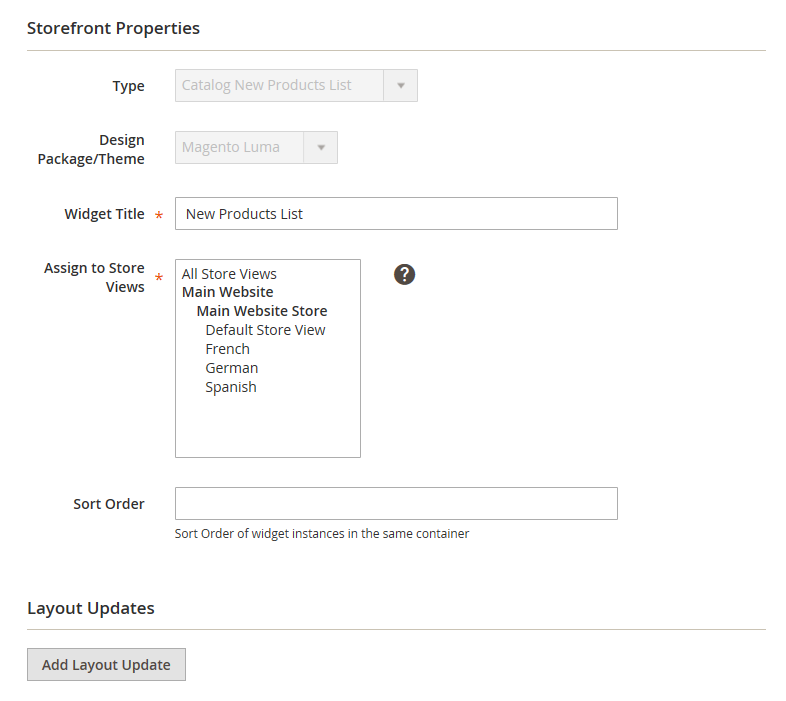 The list of the new products in Magento 2 is an example of dynamic content and includes live data which is called from your product catalog. In default Magento 2, The “New Products” list consists of the first eight products that are most frequently added. However, we can also make configuration to this list so that it can have only products within a specified date range. To display a product in the list by date range, you must enter the “New From” dates in the product. The product will be displayed in the New Products list during the date range specified. On the Admin sidebar, click Products. Then under Inventory, click Catalog. In the Set Product as New From field, click the calendar. After that, select the first date that you want the product to be featured. In the To field, click the calendar. After that, select the last date that you want the product to be featured. When you are prompted to reindex and refresh the page cache, click the links on the top of the workspace, and follow the tips. The list of products is now displayed on the Home Page for the specified date range. The code that controls the content of the New Products list and its placement in your store is created by the Widget tool. On the Admin sidebar, Click Content. Then under Elements, select Widgets. In the upper-right corner, click Add Widget. Select the Design Theme which is used by the store. Widget Title Enter a descriptive widget title. This title is visible only from the Admin. From now on, to refresh the cache, you can ignore the message. All Products Lists products in grouping, starting with those most recently included. New Products Lists only the products which are distinguished as “New.” A product is considered to be new during the date range which is specified in the “Set Product As New From/To” fields. The list will have nothing if the date range expires and not any new products characterized. To provide navigation control for lists with multiple pages, change Display Page Control to “Yes.” After that, in the Number of Products per Page field, input the number of products that you want to display on each page. Set Number of Products to Display to the number of new products that you want to include in the list. The default setting is 10. In the Cache Lifetime (Seconds) input space, select how regularly you want to refresh the list of new products. The cache is set to 86400 seconds, or 24 hours by default. When provoked to refresh the cache, click the link in the message on the top of the workspace, then follow the tips. On the Admin sidebar, click Content. After that under Elements, choose Pages. Find the page in the grid where the New Products list is to display. After that, in the Action column, click the Preview link.